Museum Minute’s new look launched on Sunday. It’s cleaner, easier to navigate, and has an attractive, bold logo (my, admittedly biased, opinion). Planning the redesign has taken some time but I am thrilled that the new look is finally a reality. While I’m sure I will continue to edit some minor CSS, I am really pleased. Please let me know what you think in the comments below. Of course, my luck, the day after I launch the blog refresh I come across, “The Age of the Anti-Logo: Why Museums Are Shedding Their Idenities,” on Gizmodo. Timely, no? “The Age of the Anti-Logo,” written by Kelsey Campbell-Dollaghan, opens with “Designing a museum logo used to be simple” and ends with “But these days, developing a museum “brand” is a complicated chore.” Campbell-Dollaghan focuses, of course, on the Whitney’s new logo (which personally, I love) designed by Experimental Jetset. 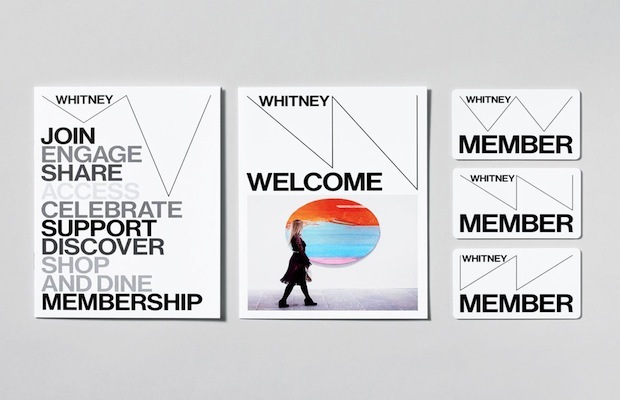 The Whitney Museum’s New Mark from Whitney Museum of American Art on Vimeo. This logo embraces movement and change; it RESPONDS to its surroundings. Campbell-Dollaghan’s Gizmodo post begs the question, is something lost in the shuffle? When identities become what she refers to as “scalable,” i.e. flexible, malleable, etc., is the brand weakened? Or is the new Whitney logo a sign of things to come more broadly in the branding universe and in museums, in particular? Will there be a responsive brand evolution? In this age of digital publishing, instant access, interactive information, what is static? What will continue to stay static (and still be successful)? Is this the way of the future? For museums, it’s certainly an interesting concept. How many conversations take place regarding changing demographics, audiences, and communities? Reinventing public programming? Reimaging museum experiences? (Re)introducing an organization to its new (and old) audiences? Offering something new to visitors, members, and donors alike? How do we navigate the conversation and challenge the notion of, “visit once, you’ve seen it all” mentality? This logo has the potential to spur new conversations regarding museum identity. While the Whitney logo is highly recognizable (a must – branding 101), the ability for a logo respond to its surroundings in such an active way is quite revolutionary. What do you think? Tags: branding, Design, Experimental Jetset, Gizmodo, Kelsey Campbell-Dollaghan, Liz Stinson, Whitney Museum, WIRED. Bookmark the permalink.